New Jersey is Zero Tolerance state when it comes to driving under the influence. Zero tolerance means exactly what the phrase implies – there is no tolerance for underage drinking and driving. If a chemical test determines that there is a certain level of blood alcohol content, the individual may be cited for driving under the influence. For persons who are under 21 (the legal drinking age) the blood alcohol content is .01%. If you are 21+, the blood alcohol content is .08%. The penalties for those who are convicted of underage drinking and driving may differ from penalties for those who are 21+ and convicted of a DUI. How Can an Officer Determine my Blood Alcohol Content? If an officer pulls you over suspecting that you were driving under the influence, he may ask you to take a breath test. This test can identify the level of alcohol in your blood. What are the penalties for a DUI if I am under 21? Participating in an alcohol and traffic education program. 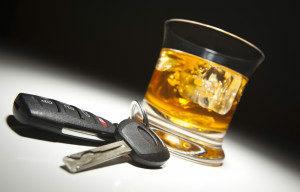 What are the penalties for a DUI if I am 21 or older? If you have been caught driving under the influence of alcohol, this could seriously impede on your daily life. Seeking the help of an experienced criminal defense attorney can help you understand your rights, as well as protect you from harsh penalties. If you are in need of experienced legal counsel in New Jersey, please contact The Law Office of Andrew S. Maze for any criminal defense and personal injury matters.